Phillips Fine Interior Finishing is the one to trust with new installations, repairs and restorations. Quality is our priority, and our commitment to excellence is visible in our workmanship. We strive to match your ideal design to your home, matching form and function to your lifestyle. 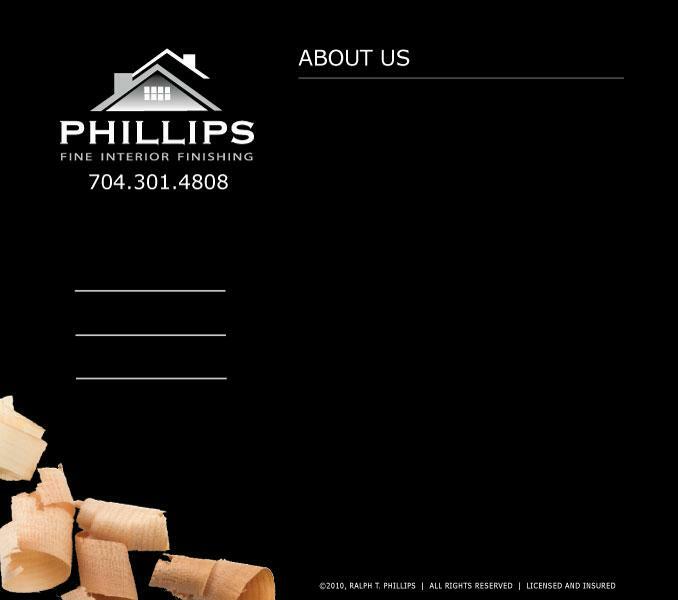 Proudly serving the Charlotte Metro area in residential construction and remodeling for over 20 years. We welcome the opportunity to earn your business. Please give us a call and let us know how we can help you with your next project, be it a room addition or new cabinets for your kitchen. We guarantee your satisfaction with our efficient services and the finished product.Contact us today!